Modern Conklin fountain pen, Mark Twain Crescent. This pen is a black and white (zebra) marbled acrylic with black trim. Crescent filling system, new ink sac installed. Black medium nib. Excellent + condition. Cleaned and tested, working well. Type Fountain pen, working well. Filling System Conklin crescent filling system. Rotate the band to where the gap aligns with the crescent, and press while the nib is in ink. Then rotate the band to block the crescent from being pushed and compressing the sac when you're traveling with it. Color Black and White zebra pattern acrylic pen with black trim and nib. 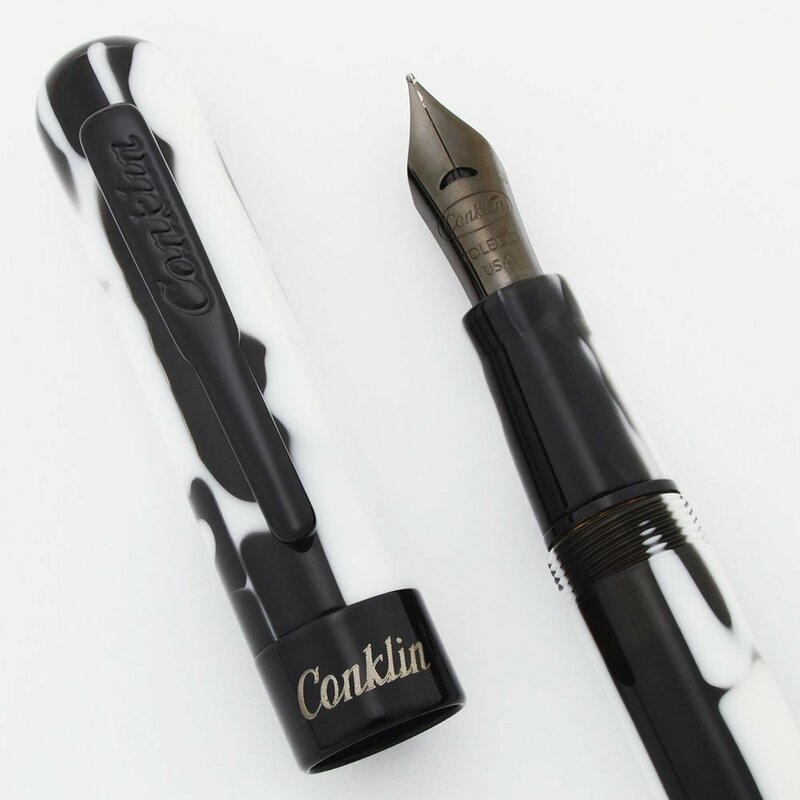 The cap band has the Conklin imprint and a Mark Twain signature. 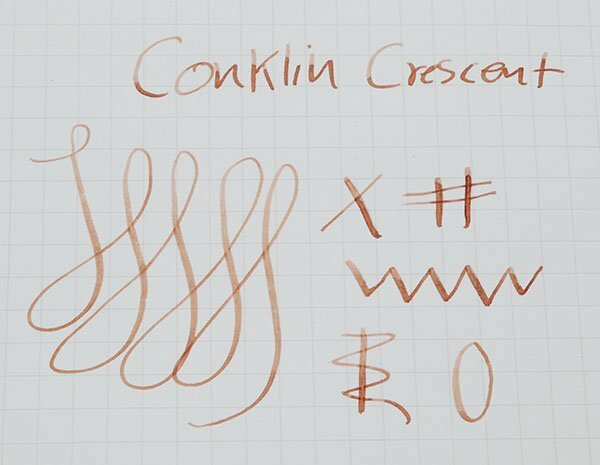 He was evidently very keen on the crescent filling system, and the modern Conklin maker gets a lot of mileage from the association. Nib Medium black nib. Very smooth with no noticeable wear. The nib has a "M" on the side. There's a bit of springiness to it, so you get a little line variation. See the writing sample, below. Condition Excellent + condition for this uniquely colored and designed pen that is substantial in size. The pen has light scratching, particularly noticeable on the black patches. The clip and crescent are in excellent condition. The imprints are all very clear. No cracks, deep scratches, dents, or dings.